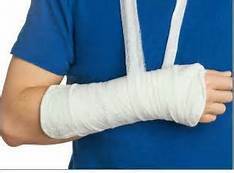 Fracture is a disaster that is not desired by everyone, because by experiencing a broken bone whether a car accident, or falling from a tree is a disaster that will interfere with activities of daily activities. After surgery, healing and treatment with the help of hospital medical treatment is also recommended to do other things that is to accelerate the healing of broken bones by eating foods that contain the right nutrients. Released from hellosehat.com below there are several Nutrition that must be consumed in order to quickly Heal broken bones. In order for a broken bone to recover quickly it is advisable to consume foods containing calcium, then almost all calcium will be stored in the bone. And this is what makes the bones solid and strong. Indeed, the main task of calcium in to maintain bone health. So it takes a high calcium food to make broken bones become strong and solid again. Foods that contain high calcium are, salmon, broccoli, spinach, almonds, milk, and soybeans. In addition to requiring calcium in order to cure this required foods that contain protein.Karena protein as a macro nutrient that is very important to build a new network in the body, of course needed nutrients to build and repair bone tissue to normal again. In addition, the protein also helps the body to absorb more calcium, thus making the bones become more dense and strong. A study conducted by researchers from Tufts Unversity revealed that a diet high in protein can speed up the fragile and broken bone healing. Daily protein intake for healthy adults is about 56-65 grams per day. But in the study, study participants were given a protein of 79 grams per day. You can eat foods high in protein such as beef, chicken, eggs, milk and nuts. Vitamin K is one of the important vitamins for the human body, especially in blood clotting and protein modification. A recent study also showed that Vitamin K plays an important role in preventing osteoporosis and Alzheimer's and maintain heart health and prevent cancer. Foods that contain lots of vitamin K is able to increase the absorption of calcium from food, in addition it can play a role in preventing bleeding and can accelerate wound healing. Similar to fat-soluble vitamin D, vitamin K causes the broken bone to recover and is perfectly connected. Vitamin K can be found in foods such as broccoli, kale, avocado, eggs, and cauliflower. Vitamin D plays an important role in regulating the levels of calcium and phosphorus in the blood. Calcium and phosphorus are two very important factors in maintaining bone health. The body needs vitamin D to absorb calcium maximally in the intestines, as well as help build strong bones and teeth.Vitamin D is considered a pro-hormone and not solely vitamin because, Vitamins are nutrients that must be obtained through food or supplements because it can not be made by the body. Meanwhile, vitamin D can be produced by our own body. The source comes from sunlight absorbed by the skin. ">Some studies show, vitamin D benefits not only in maintaining bone strength, but also able to reduce the risk of autoimmune diseases, heart disease, stroke, cancer, diabetes, and much more.Vitamin D is no less important than calcium and protein. The main function of vitamin D is also to maintain overall bone health. Not only that, this fat soluble vitamin helps in the absorption of calcium in the body, so it is needed to repair damaged bone tissue.Vitamin D obtained from sunlight takes approximately 10 minutes exposed to the sun to avoid the condition of deficiency. Can also be found in food, for example milk, eggs, and sea fish.By eating foods with high nutrition and taking time to expose the morning sun, is expected to be able to accelerate the healing of broken bones.Source: hellosehat.com and others. 0 Response to "In order to Broken Bones Quick Heal, This Nutrition In Need"